Yesterday I did a post about a typescript of Justine that was being auctioned today at Sotheby's in New Bond Street. That was part of one lot. A second lot was mostly copies of Durrell's books that Durrell had inscribed for a collector, and two or three of these were interesting. One was a first edition of Reflections on a Marine Venus, his book about Rhodes where Durrell lived for two years immediately after leaving Alexandria in 1945. His inscription, dated 1974, says that he spent 'a long period in this island at the end of the war – one of the nicest and best periods of my life'. I know from Eve Durrell that it was paradise for them - Durrell had taken his Alexandrian girlfriend Eve Cohen to Rhodes with him as his secretary and eventually they married there. 'We had the island all to ourselves', Eve said. 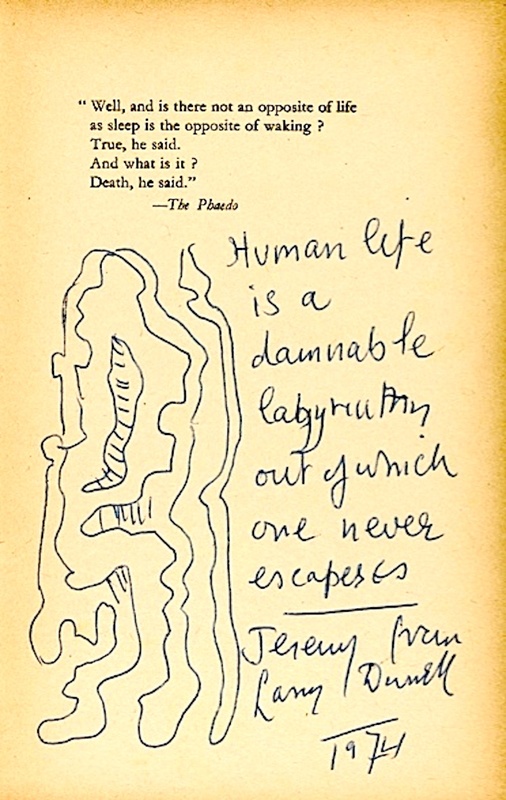 This inscription gives emphasis to Durrell's remark about Rhodes in his 1978 Greek Islands book, 'They were the happiest two years of my life'. only lent her a soft and confusing grace'. Anyone reading Prospero's Cell about his pre-war years in Corfu would have guessed that those must have been the happiest years of Durrell's life. Prospero's Cell sparkles with delight in the island and everyone he knew there, not least the seemingly wistful figure of N, his first wife Nancy, who appears like a sylph in its pages. For good measure Durrell writes in The Greek Islands that 'Corfu and Cyprus are much more beautiful' than Rhodes. But he was happiest in Rhodes. Happy that the war was over, happy that he had left Egypt, happy that he was back in Greece. But most of all happily in love with Eve. Eve said the same; they shared love and happiness in Rhodes, a happiness that Durrell recalled many years later despite the final disaster of his marriage to Eve. Paradise for Durrell was Rhodes with Eve, not Nancy and Corfu. Yet oddly Reflections on a Marine Venus lacks that beauty and lightness of touch and subtlety and sadness that imbue Prospero's Cell. The reason is probably very simple: Durrell was too busy living happily to waste his time writing about happiness. Human life is a damnable labyrinth out of which one never escapes. That was one of Durrell's major themes, a gnostic notion that can be found in his notebooks already in the 1930s and which grows over time and dominates his thinking. It is there in The Alexandria Quartet - the seductiveness of the city yet the need to escape, which his hero Darley finally manages to do because he has become a true writer at last, a creator, a person who knows how to play - divine play. But later the notion becomes oppressive, the attempts at play more desperate - in The Avignon Quintet, for all its multiple and dissolving and intertwining and infinitely begating characters, nobody escapes. 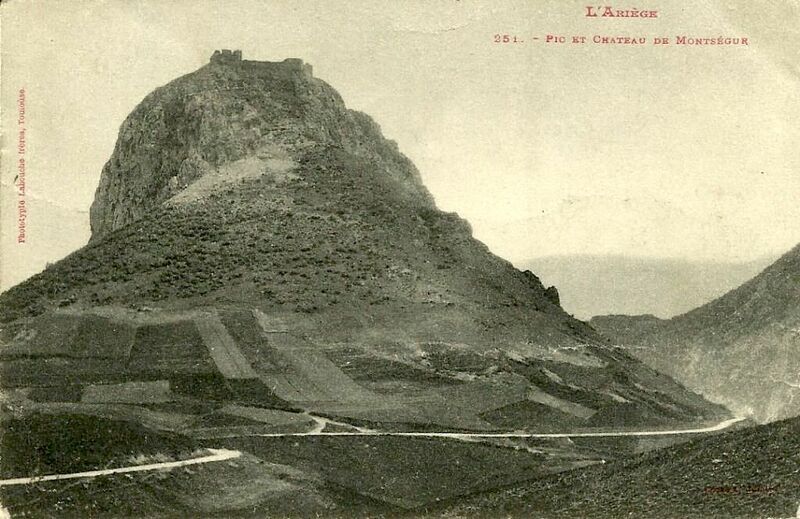 Montségur, last bastion of the Cathars. When they surrendered 220 Cathars were burnt en masse on the lower slope of the mount. The key to Durrell is to understand why life seemed to envelop him in a lie. His anger and his resolve against the lie is palpable in his forward to the 1977 English translation of Jacques Lacarriere's The Gnostics, a people 'whose total refusal to believe in the world as outlined by the Christian theologians led to their destruction both in Egypt and in Bosnia, and lastly at Montségur, that Thermopylae of the Cathar soul'. Lacarriere's book, wrote Durrell, possessed a 'burning topicality to a world which is also playing at Gnosticism - the pathetic cockroach world of the anti-hero with his anti-memoirs, not to mention his anti-poetry. How noble in comparison with this shallow hippy defeatism is the grand poetic challenge of the Gnostics. They refused to countenance a world which was less than perfect, and they affronted the great lie of Lucifer-Mammon with the hopeless magnificance of the Spartan three hundred'. Durrell carried this gnostic sensibility around with him, and he was the one person he could not escape. But he may have made a mistake in settling in Provence. 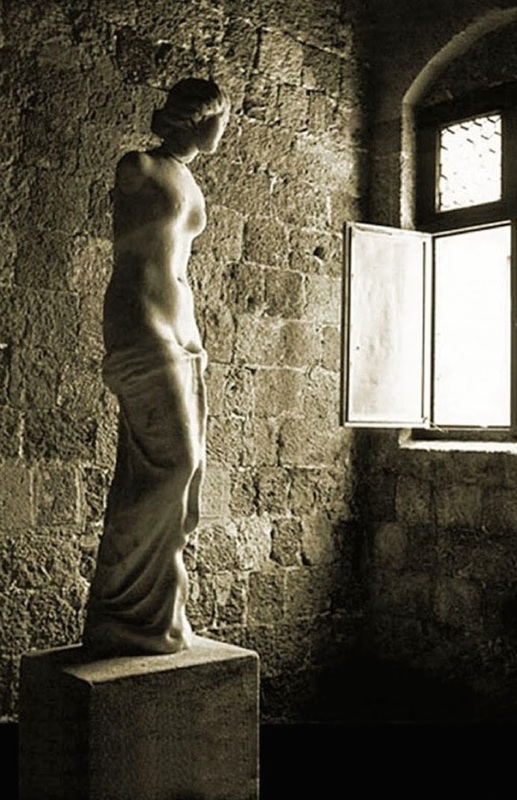 For all its brightness and life, there is something dark about it, a darkness that Durrell explored in The Avignon Quintet through the Cathars and the Templars, both victims of what he called 'the gas chambers of the pope'. Durrell might have been happier staying in Greece. 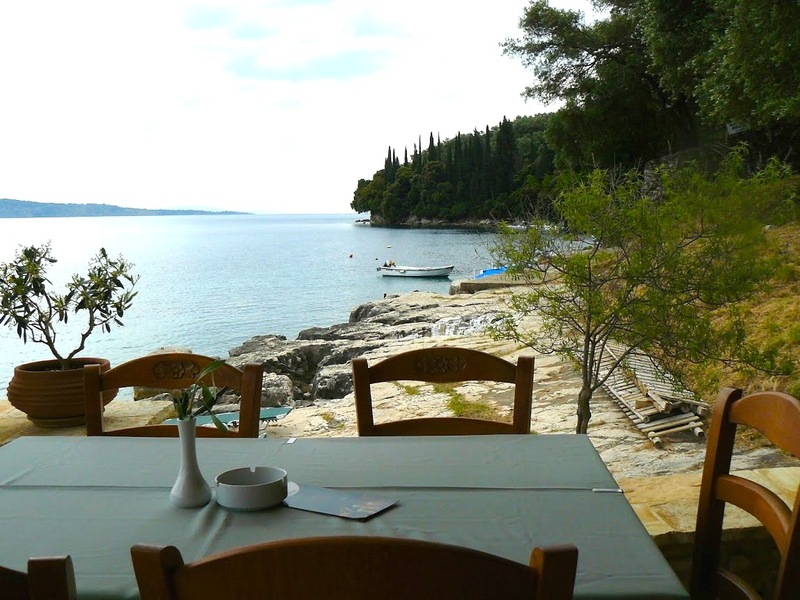 A table waiting at the White House, Durrell's home in Kalami, Corfu. Sotheby's on New Bond Street. 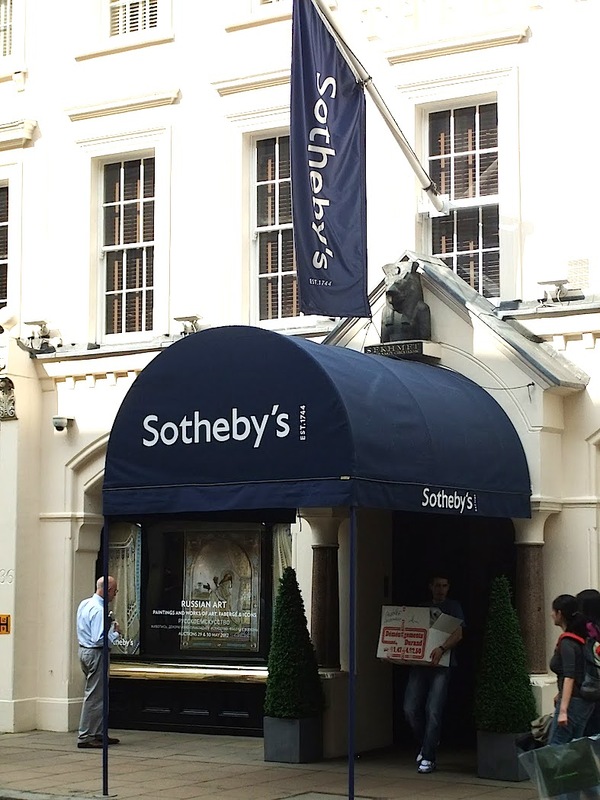 Today I went to New Bond Street to visit Sotheby's, the auction house. Tomorrow they are auctioning some books and papers to do with Lawrence Durrell that include what Sotheby's describes as the 'final typescript' of Durrell's novel Justine, the first volume of The Alexandria Quartet. I thought I had seen every stage in Durrell's writing of Justine, starting with the notebook he called Notes for Alex, begun in Alexandria in 1944 - though one could go back before that, to a 1938 notebook written up in London, his originally intended setting for what he was then calling The Book of the Dead, set in Bloomsbury specifically. I also thought I had seen the final working typescript of Justine, a typed-out version of the novel on which Durrell added some hand-written notes and from which a clean typescript would have been produced and handed over to Faber and Faber, his publisher. So what was this so-called final typescript about? I had to go and see. A page of the so-called final typescript with Durrell's handwritten alterations, early 1956. I compared the typescript to Faber and Faber's first edition of Justine, but any edition will do. Take for example the typescript page 229 (see above); Nessim and Melissa are making love; a few pages later we come to the climax of the novel, the duck shoot on Lake Mareotis. 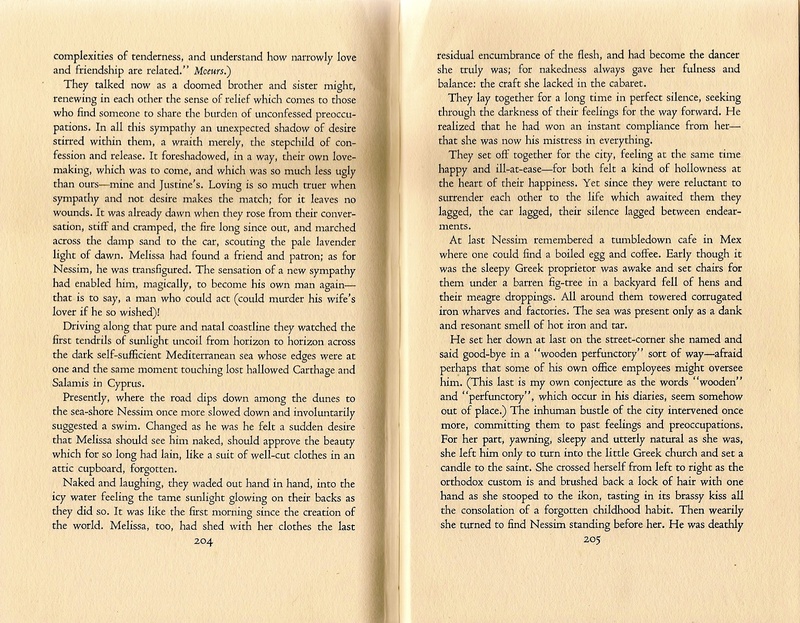 This typescript page corresponds to pages 204-5 of the Faber edition of Justine (both hardback and original paperback versions), and to page 166 of the four-volume-in-one Faber edition of The Alexandria Quartet, hardback and paperback. If you look at the top paragraph of the typescript and count nine lines down you come to the sentence which originally read, 'They lay together for a long time in trembling silence'. Durrell alters that in red ink, so that it now reads, 'They lay together for a long time in perfect silence seeking through the darkness of their feelings for the way forward'. And that is exactly as that sentence appears in the first edition of Justine (see the top of page 205 below). The corresponding part of Justine, first Faber edition 1957. But look at page 205 of the first edition again and you will notice that before 'They lay together ...' it says 'nakedness always gave her fulness and balance: the craft she lacked in the cabaret'. That is what it says in the book, but it does not say that in the typescript. Durrell would cut everything before 'They lay together', but he did not do it in this tyepescript; he did it in the final working typescript, the one I have seen and which is in the British Library. Therefore Sotheby's is mistaken in describing this as the final typescript of Justine. A simple comparison of the typescript with the published novel would have revealed that. The carelessness does not end there. 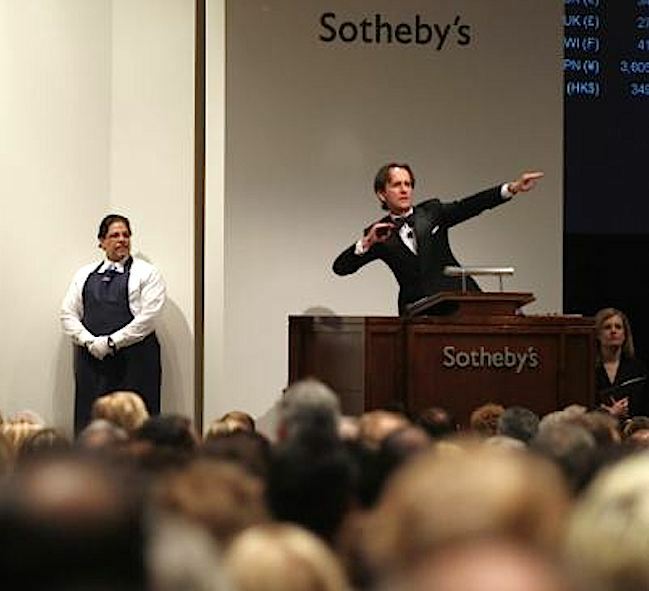 The Sotheby's catalogue describes the typescript as 'seemingly lacking six leaves'. But the typescript ends just before the duck shoot when there are still another forty pages of the published novel to come; 'lacking sixty leaves' would more accurately have described the typescript. All the same, the truncated typescript being auctioned tomorrow is a valuable document because it allows anyone studying how Durrell composed Justine to see yet another stage that he went through. 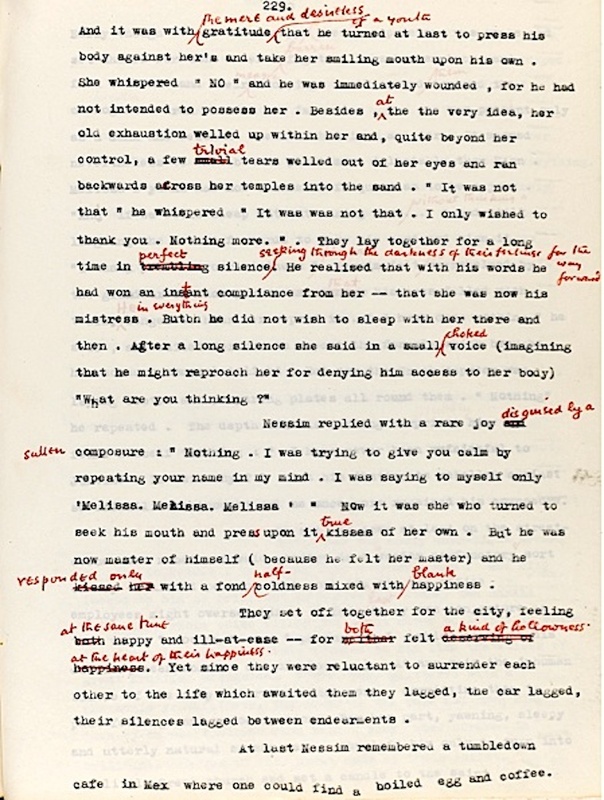 In fact one of the most remarkable things about Durrell's composition of Justine is how much of the shaping took place in the last stages, as here in the typescript being auctioned by Sotheby's, and that so many of the most memorable lines and passages were composed at almost the last moment, written in by hand onto the final working typescript held by the British Library. 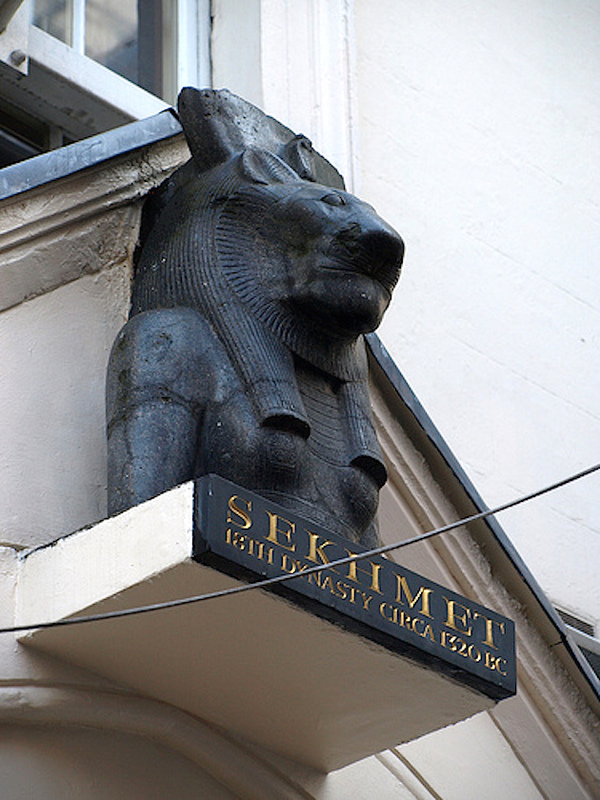 Basalt bust of the Egyptian goddess Sekhmet above the entrance to Sotheby's. They have dated it to about 1320 BC and in this they are at least close enough. It is the oldest outdoor monument in London. It has been a Sotheby's trophy ever since the 1880s when it was sold at auction for £40 but the buyer failed to collect.